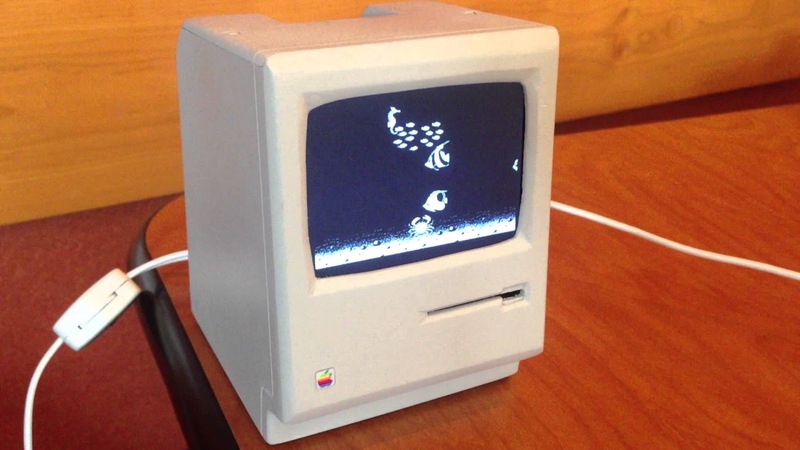 Tech Access Blog: The World’s Smallest Working Macintosh! Can you believe it? The world’s smallest working Macintosh stands shorter than Steve Jobs doll! It runs on System 6 and you can hold it effortlessly in the palm of your hand. This machine has elicited squeals of delight from millions of vintage Mac fans around the world. 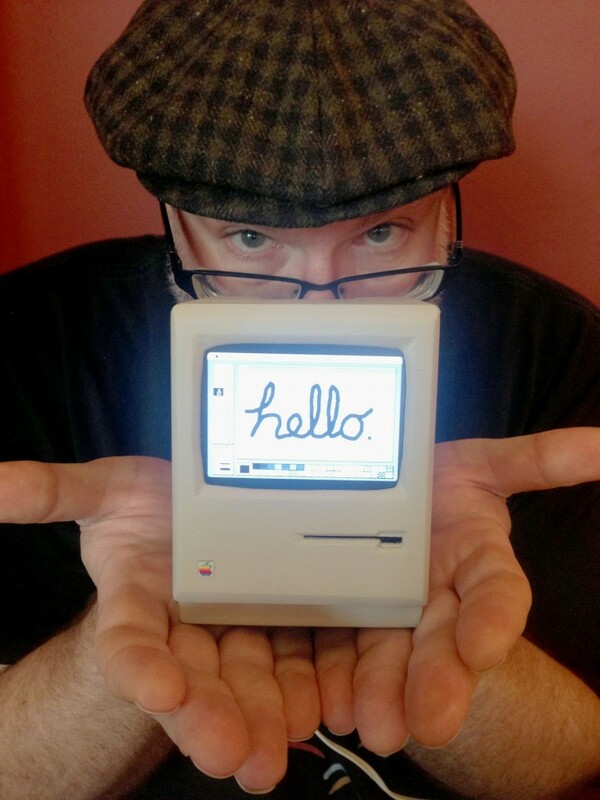 Well, it’s the smallest Mac in the World. Hot on the heels of the news about the world’s oldest working Mac comes this breakthrough with a more modest proportions. It has been created by John Leake, co-host of the RetroMacCast by using a Raspberry Pi computer, a Mac emulator running on Linux, PVC and some off the shelf parts. He proudly calls it “Mini Mac”. This Mini Mac has been done to 1/3 scale. Leake used sheets of PVC that easily yield to an X-Acto knife. He then used sandpaper and files to shape the bezels, with some extra care around the curves close to the screen. The front, bottom and the sides were firmly glued together to make one solid piece, and the top and the back a second piece. Discussing his Mini Mac during the podcast, Leake notes that its assembly took around 12 hours total. If he plans to make more of these cute little Macs, he may use a 3D printer rather than spending hours manually crafting its parts. The monitor of the Mini Mac is a 3.5” composite LCD panel that is firmly held in place using few Velcro tabs and two brackets. The motherboard sits close to the 4-port powered USB hub. Mini Mac’s 2 USB ports are facing in and 2 facing out. One of the inside USB ports holds a Wi-Fi dongle, and the other one a Bluetooth dongle. Right on the top is a 2-port USB charger that powers the monitor and Raspberry Pi. To fit in everything, Leake made few modifications. He had to cut quite a bit of USB cable to bend it below the top of the case. He’d to cut the SD card down almost flush with the edge of the Mini Mac’s motherboard. Lastly, to bypass the power connector, he had to solder the wires directly to the Pi board. This may be the only Mini Macintosh in the world with a HDMI output port! The Mini Mac runs on Rasbian, which is a modified version on Debian Linux. On top of this is the Mini vMac emulator that runs System Software 6.0.8. Leake was bit worried that its tiny screen won’t be readable, but things turned out OK. He’d adjused the boot config file to get an output at 512x384, which shoved onto the screen with a resolution of 320x200.